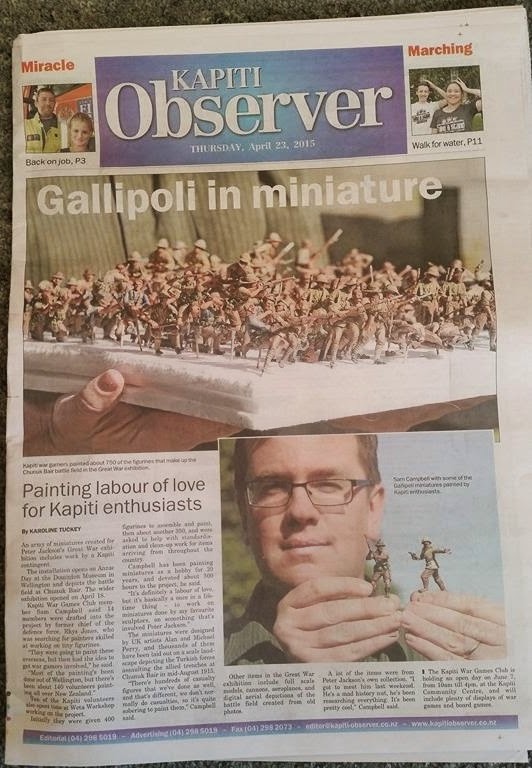 The Kapiti Observer features our diorama on the front page today. 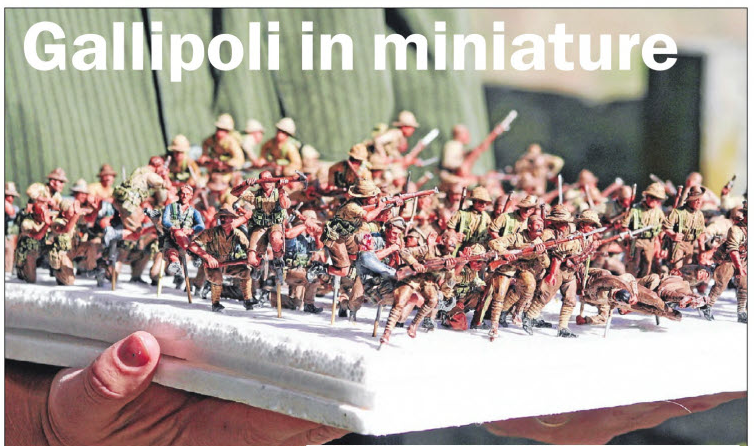 An army of miniatures created for Peter Jackson's Great War exhibition includes work by a Kapiti contingent. 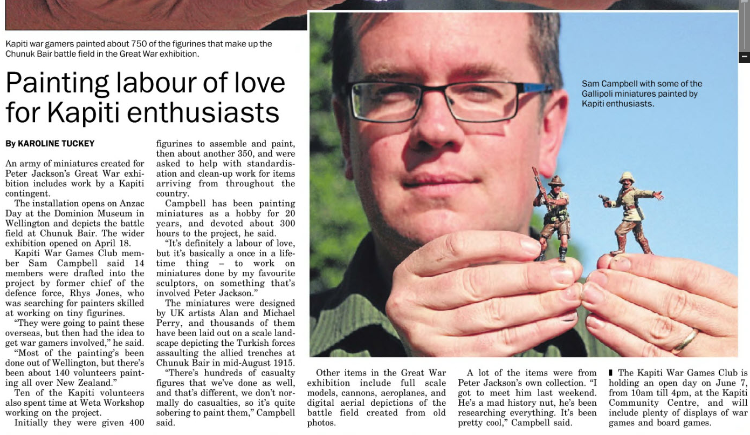 The installation opens on Anzac Day [now 2 May] at the Dominion Museum in Wellington and depicts the battle field at Chunuk Bair. The wider exhibition opened on April 18.